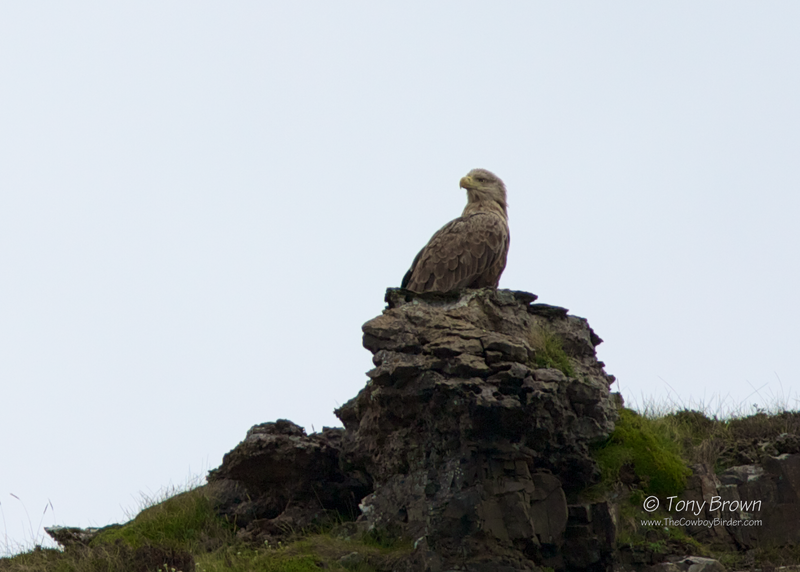 When we booked our family holiday to the Isle of Skye, we were all very much looking forward to seeing one speciality bird of the Island in particular - White-tailed Eagle. 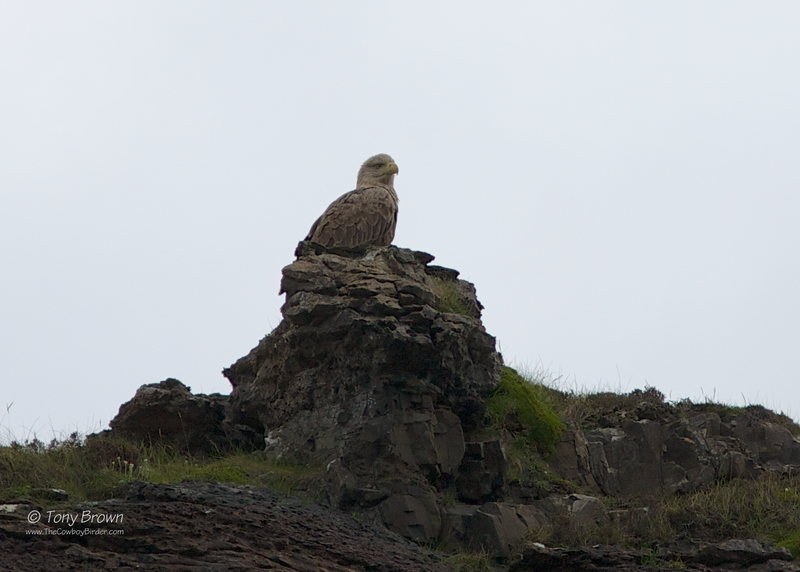 In the week we had on the island we managed four encounters (fewer than I had expected) with this magnificent Eagle. 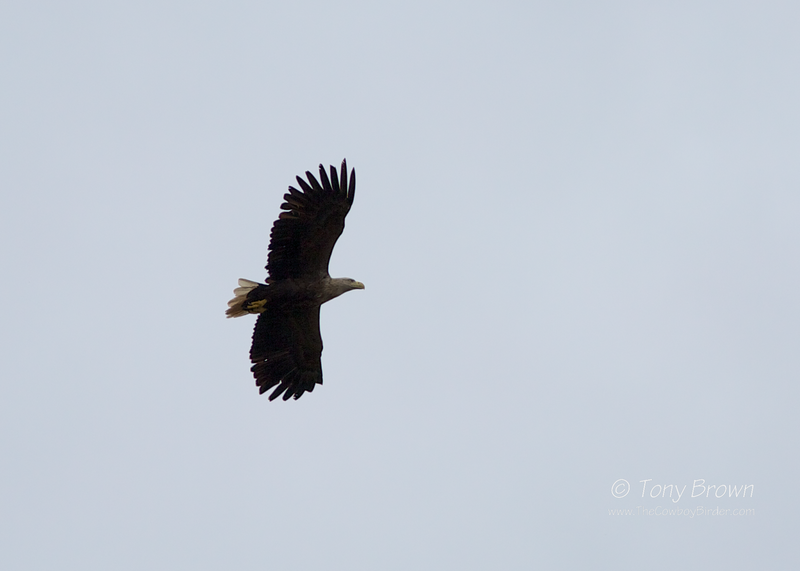 On two separate occasions a single bird flew high over the property in which we were staying on the hillside overlooking Loch Harport in Carbost. 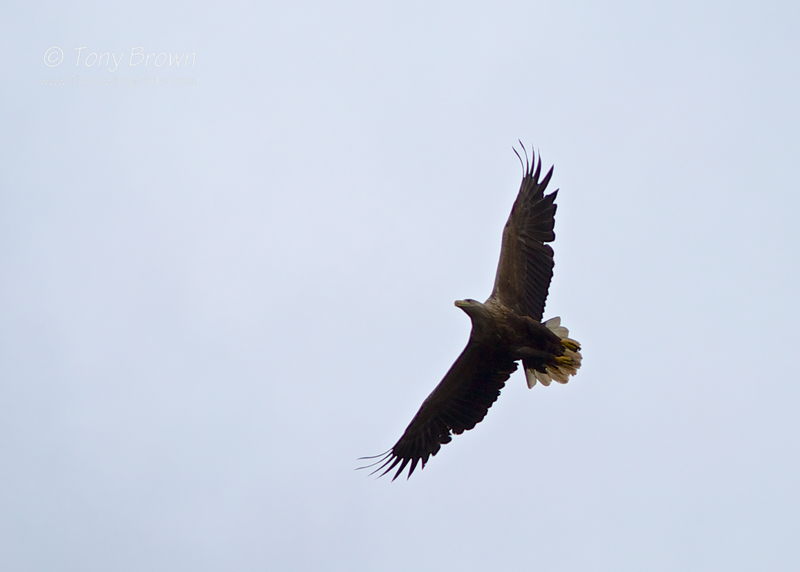 We had another bird virtually fly along side the hire car in the south of the island near Elgol - sadly the camera was in the boot of the car at the time but great views were had by all through the bins (safely kept in the glove box for such an occasion). But on a boat trip around the small isles (Soay, Canna, Eigg, Rum and Muck) the individual below performed the best for the camera. As the boat took us along the rocky coast line of the Isle of Rum, we picked out the silhouette of a single bird perched high up on the cliff edge, ever watchful, we waited until it took flight, finally taking-off the bird circled the cliff face, those huge broad wings quickly taking the bird further along the rocky coast before it was lost to view - but what an amazing encounter for the family.